My name is Ben Braden. Get it? Ok, so I'm going to start with a blog that came up on my Twitter (@Mr_Braden) timeline recently. I'm going to do this knowing full well that in doing so, I might rip a hole right through the space time continuum (I never knew that word was spelled like that). It's a blog, similar to this one here, in which an Assistant Principal, similar to this one here, writes about things that have piqued his interest, similar to this one here. So, without further ado, here are the things that I'm interested in right now. Love the format of this blog. It's quick, it's easy and it's educational. One of my New Year Resolutions, the only one I have actually stuck with, is to read more in 2018. In an attempt to help me accomplish the resolution, I decided to take part in the #SixtyBooks challenge. 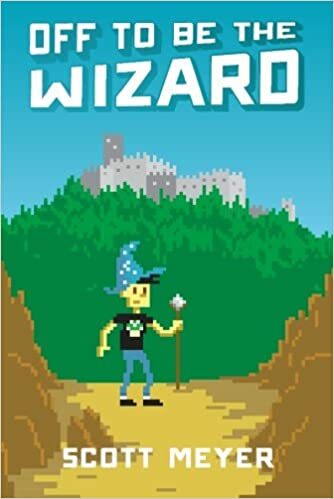 I am working on book #6 which is Off to Be the Wizard by Scott Meyer. Basically a guy finds out that our world is written in code, he figures out how to manipulate it and in an attempt to flee from government agents who were hip to the money randomly showing up in his bank account, because who wouldn't just create money out of thin air and put it in your bank account if you could, goes back in time to the middle ages and pretends to be a wizard. It's hilarious and has really grabbed my attention. The Girl With All The Gifts by M.R. Carey. When students act out, why do we seek out flaws in their character? Shouldn't we instead search for the flaws in our schools and our teaching, holding us, the adults, primarily responsible? Since the last edition of the Braden Bin, I've helped create a legit 501(c)(3) nonprofit foundation dedicated to the raising of funds for research and awareness for pediatric cancer with an emphasis on hepatoblastoma called the Owls for Avery Foundation. If you go back in my blog you will see that my amazing daughter fought and beat cancer. If you click on the link below, you will see that we weren't just going to sit around and do nothing. Oh, and if you like to golf, we are hosting a golf tournament called the OFAF Open in May. Player and sponsorship opportunities are still available!